Because Camps Bay is such a deliciously upmarket area of Cape Town, one may quite easily become caught up in the excitement and glamour of the champagne bars on the sidewalk and the boutique stores lining its stunning beach. Of course, there is absolutely nothing wrong with this part of the Camps Bay experience, but there are other things that will reveal a different side of this picturesque region. 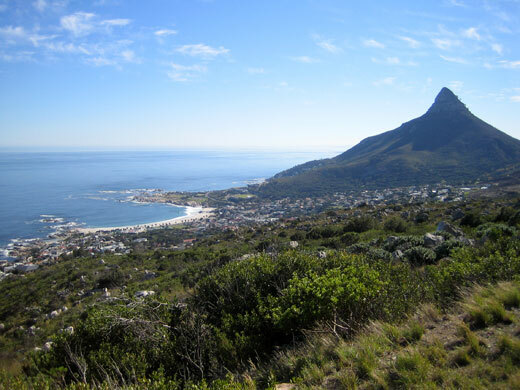 There are a number of hiking trails within the immediate vicinity of Camps Bay, which showcase the mountains, sky and sea to perfection. These range from easy-to-manage walks for families and beginners to trickier hikes that require some technical ability. Take a guided bicycle tour through the suburb of Camps Bay. There are tour companies that offer such guided tours, which they can tailor to suit your specific preferences, or offer as an established package for those that do not know the area at all. Going with a professional guide means more than not getting lost; it also enables you to learn about the history and culture of Camps Bay from someone in the know. Lions Head – Less than two kilometres from the heart of Camps Bay, this trail is extremely rewarding, with views of the City Bowl, Robben Island, Camps Bay and the Indian Ocean. This is a trail that is also popular amongst those that want to brave night-hiking and it offers amazing full-moon views. The first few minutes of the trail are steep and tiring, but it does level out thereafter and become easier. To reach the very top, there are chains that need to be climbed. This means that the Lions Head Trail is a little trickier and more demanding in places. Pipe Track – so named because it follows an old water pipe, Pipe Track begins at the meeting point of Kloof Nek and Tafelberg roads. It takes walkers out along the top of Camps Bay, providing views of the mountains and ocean that are nothing short of spectacular. It is fairly flat and easy, making it great for those that are not particularly fit or inclined to hike. The Glen Trail – the picturesque nature of this trail is enhanced by its lush greenery and dense foliage. It takes walkers through the valley and presents lovely views as well as a fair amount of historical import. In fact, this entire area is a National Monument. 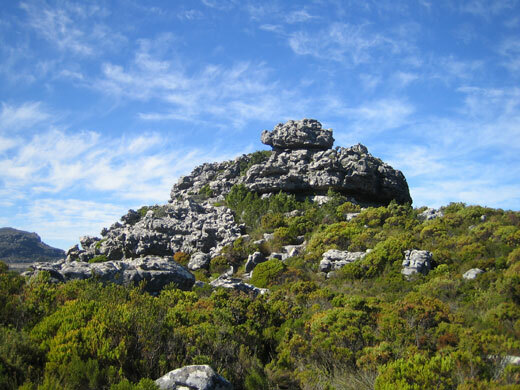 More challenging hikes are the Kasteelspoort to Table Mountain Front and the two-day Table Mountain to Orange Kloof hike. Of course, with the sea being so close and the beach so lovely, those looking for a relaxing stroll in Camps Bay are encouraged to simply explore the coastline at leisure. When taking any of these trails, remember to wear plenty of sunscreen, stay well hydrated and take along a mobile phone so that you are able to call someone if you are injured, the weather turns or you lose your way.